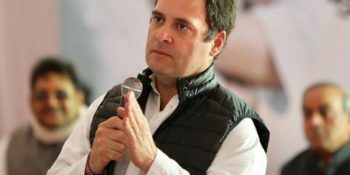 New Delhi | Congress President Rahul Gandhi on Monday attacked the Prime Minister over the issue of Special Category Status (SCS) to Andhra Pradesh saying Narendra Modi has “no credibility” left. “I stand with the people of Andhra Pradesh. 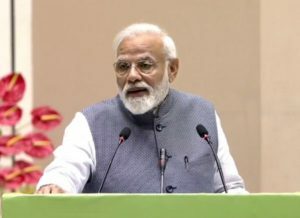 What kind of a Prime Minister is he?” Gandhi said addressing the people at a 12-hour-long fast here by Andhra Chief Minister N. Chandrababu Naidu. 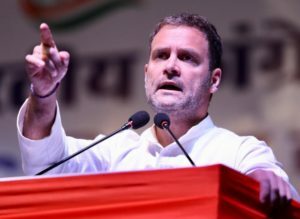 Stepping up attack on the Prime Minister, the Congress leader said: “He (Modi) did not fulfil the commitment made to the people of Andhra. Modi tells a lie wherever he goes. 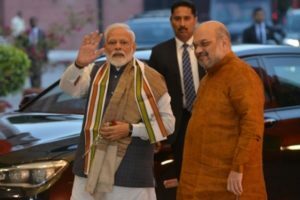 “Remember one thing he has few months left, one or two months, the opposition parties are going to show Modi exactly what the nation’s sentiment is,” he added.